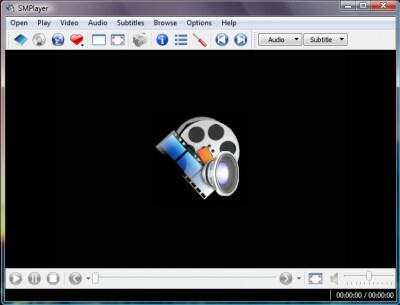 SMPlayer 14.3.0 free download. SMPlayer uses the award-winning MPlayer as engine, so it's able to play the most known audio & video formats without any need of external codecs: avi, mkv, ogm, mpeg, vob, 3gp, asf, mov, wmv, mp3, ogg. SMPlayer uses the award-winning MPlayer as engine, so it's able to play the most known audio & video formats without any need of external codecs: avi, mkv, ogm, mpeg, vob, 3gp, asf, mov, wmv, mp3, ogg... You can also play DVD discs and Internet streams. SMPlayer subtitles can be very nice, you can choose font and size, and even colors for the subtitles. Translations: SMPlayer is fully translated into Spanish and German. AVI ReComp is an application that lets you recompress your AVI files. Manipulating subtitles, captions, rendering, video preview, DVD rip Features: � Full text based subtitle support � Basic Scenarist Closed Caption support � Rendering subtitles (for DVD authoring) � Ripping subtitles from a DVD � 63 supported subtitle formats � Batch (multi file) mode � Adjusting subtitle for movie and audio file � Advanced video player � Downloading subtitles via internet � and all in 25 languages Limitations: � Free for personal use.